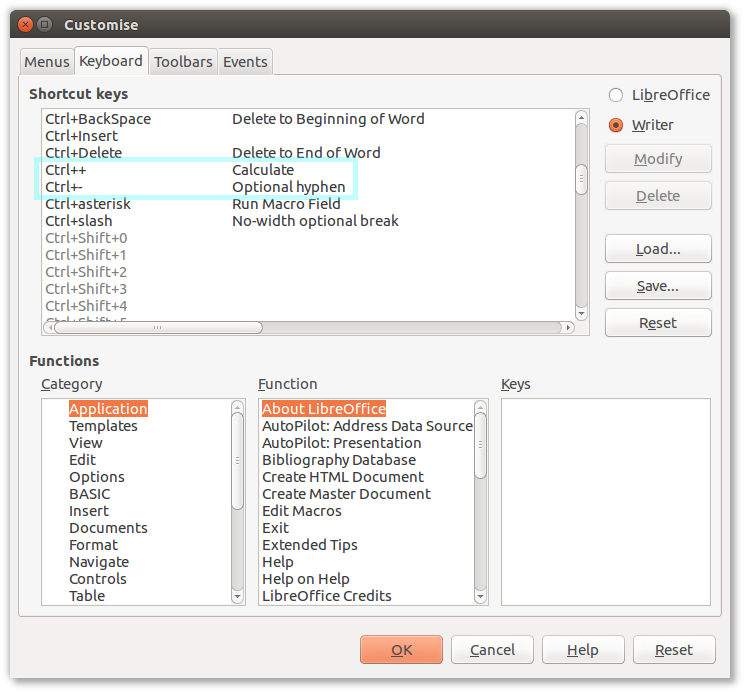 I would like to use CTRL ALT - as a key combo, but the only + or - shortcuts available in this dialog are those highlighted in the screenshot above. I don't see a way of adding key combinations, just modifying this listing. So -- is there is a way to add new key combinations to this list? I live in hope!